NEW YORK (AP) — An unarmed black teenager killed by a white officer in Missouri was shot at least six times, including twice in the head, a preliminary private autopsy has found. 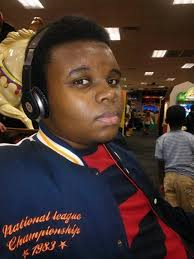 The New York Times reported that the autopsy by Dr. Michael Baden, a former New York City chief medical examiner, found that one of the bullets entered the top of Michael Brown’s skull, suggesting that his head was bent forward when he suffered a fatal injury. That determination could change if there were residue on Brown’s clothing, which Baden did not examine, the newspaper said. Earlier Sunday, Attorney General Eric Holder ordered a federal medical examiner to perform another autopsy on Brown, citing the “extraordinary circumstances” surrounding his death and a request by Brown’s family.